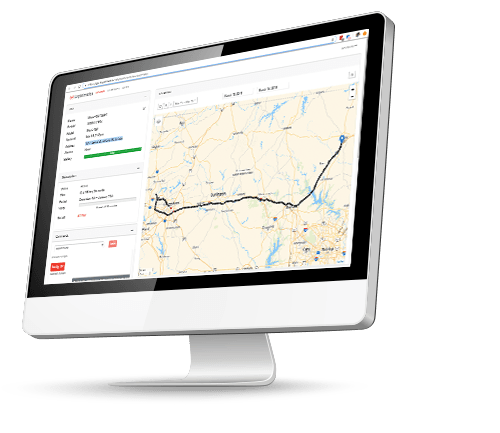 Logistimatics White Label Reseller program lets companies capture monthly recurring revenue and by reselling GPS tracking services under their own brand. Our cloud-based tracking platform allows your customers to track their assets in realtime and helps you become indispensable to your customers. Our reseller tracking product includes a white-labeled product with your branding. We have low platform costs so you can sell tracking to your customers at healthy margins. You control your pricing to your customers. Resell tracking services the way it makes sense for your business. Sell tracking products and recurring monthly subscriptions anywhere. Are you considering becoming a white label-reseller? We recommend ordering a tracker for your own use to interact with the product. This is the best way to understand the value proposition. You want to resell tracking services under your own brand. You will set the price your customers pay for tracking, handle billing and support for your customers. How does the white label reseller program work? Resellers grow their monthly recurring revenue stream by offering tracking service to their customers. Resellers help their customers by providing information about tracking products and handling delivery of equipment. They also provide support for billing and training for their customers. Our Reseller Support Team helps works to help you be successful. Are resellers required to sell Logistimatics trackers exclusively? No, resellers can provide any supported trackers to their customers. Not all trackers are supported. Please note that there is both lead time and some costs associated with supporting new tracking hardware, primarily because it involves significant programming. Can resellers use the Live Audio features on Logistimatics trackers? This is not a supported feature at this time. Who handles support and billing questions from customers? As a reseller, you're responsible for answering billing and support questions. Our Reseller Support Team works hard to support you on troubleshooting any technical issues. We bill resellers for the services they use. This can include hardware purchases, cellular data and tracking platform fees. The reseller is responsible for setting the price they will charge their customers and billing them directly. I have questions about the reseller program, how can I ask these? Please email us and we'll be able to answer your questions about becoming a reseller. Get the details on the reseller program. Increase your value to your customers and develop monthly recurring revenue.